Join us in Chicago for the Becker's ASC 25th Annual Meeting: The Business and Operations of ASCs. The event will take place on October 18-20th at the Swissotel Chicago in Chicago, IL. The event will bring in 175 speakers, including over 150 Physicians, Directors of Nursing, Administrators, Owners and CEOs to discuss how to improve your ASC and its bottom line, how to manage challenging clinical, business and financial issues. Some of the top speakers include, Lou Holtz, Legendary Football Coach and Analyst – ESPN and Bobbi Brown, Makeup Artist, Author, Entrepreneur & Founder of Bobbi Brown Cosmetics and Beauty Evolution. Don't miss out on an opportunity to speak with other administrators and leaders across the board to discuss ASC issues and build strategic plans for the future. Be sure to stop by our booth 56-S! We will be exploring comprehensive billing and coding solutions that can boost performance in any healthcare facility. 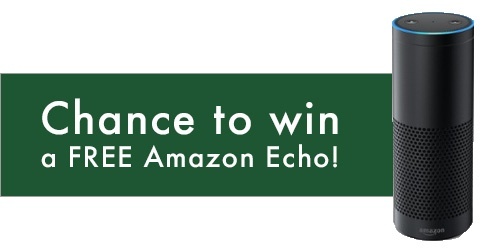 Plus, you can register for your chance to win a free Amazon Echo!